Born in Windsor Locks in 1919 to Italian immigrants, Ella Tambussi Grasso attended local schools while growing up and later received her BA and MA from Mount Holyoke College in Massachusetts. A lifelong Connecticut resident, Ella chose a life of politics for herself. From 1952 to 1957, she served in the Connecticut House of Representatives, and in 1958 voters elected her to the office of Connecticut Secretary of the State. In 1970, she was elected to the US Congress, a position she held until 1975 when she became Connecticut’s Governor. 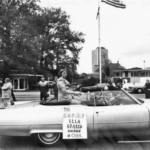 In winning that 1974 election, she become the first woman governor in the US to be elected “in her own right.” (Others had won governorships previously held by their husbands.) In addition to politics, Grasso had a full life raising her two children with husband Thomas Grasso, who she married in 1942. Ella Grasso died at age 61 from ovarian cancer. President Ronald Reagan posthumously awarded her the Presidential Medal of Freedom in 1981, and in 1993 she was inducted into the Connecticut Women’s Hall of Fame. “Ella Giovanna Oliva (Tambussi) Grasso.” Connecticut State Library, 2016. Link. “Ella Tambussi Grasso.” Connecticut Women’s Hall of Fame, 2016. Link. Wald, Matthew L. “Ex-Gov. Grasso of Connecticut Dead of Cancer - Obituary.” The New York Times, February 6, 1981, sec. N.Y. / Region. Link. 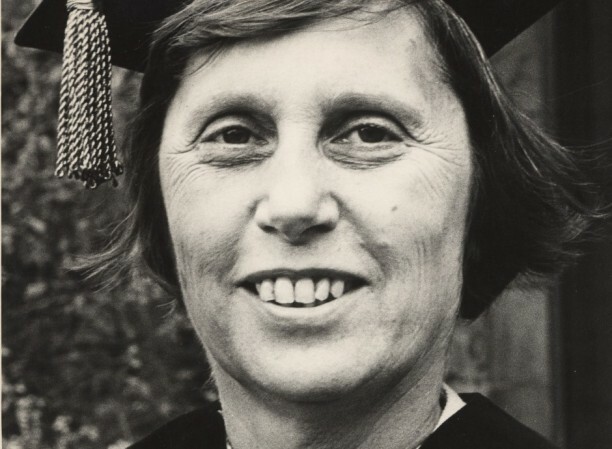 “Finding Aid to the Ella T. Grasso Papers, 1919-1981 (Bulk 1970-1974).” Mount Holyoke College Archives and Special Collections, 2016. Link. “Finding Aid to the Office of the Governor: Ella Grasso (1975-1980) Inventory of Records.” Connecticut State Library, 2016. Link. Purmont, Jon E. Ella Grasso: Connecticut’s Pioneering Governor. Middletown, CT: Wesleyan University Press, 2012. Bysiewicz, Susan. Ella: A Biography of Governor Ella Grasso. Old Saybrook, CT: Peregrine Press, 1984.